Here at City Cows we really are passionate about our cowhide and all the things associated with this wonderfully versatile and natural product. 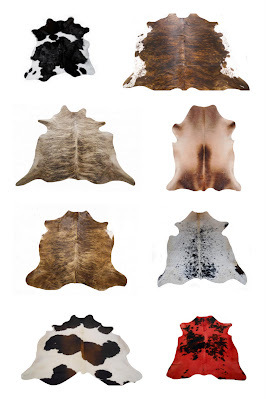 We spend so much time obsessing about all the details that go into ensuring you get the highest quality affordable cowhide rugs and carpets and cowhide accessories that we developed an interest in the wider world of cowhide. So with this in mind I though I would compile a list – as everybody loves a list with twenty fast facts about all things cowhide and put it over on the Info section of the City Cows website. Hope you are stimulated and educated by it – my favourite cowhide fact and one to remember for when conversations are flagging down the pub is that a single cowhide is enough to make 18 footballs ! And as Alan Partridge would say on that bombshell I leave you to go and have a look at out twenty fast facts about all things cowhide Part 1 – part 2 follows shortly. Don’t forget City Cows as the UK’s leading importer and retailer of all things cowhide stands ready for you to have a look at our unrivalled collection of over 900 individually photographed cowhide skins so there’s never been a better time to by a cowhide from City Cows. This entry was posted on 13/02/2012 at 6:29 pm and is filed under Cowhide Footstools, Cowhide Rugs. You can follow any responses to this entry through the RSS 2.0 feed.